See told ya there were some serious hills. 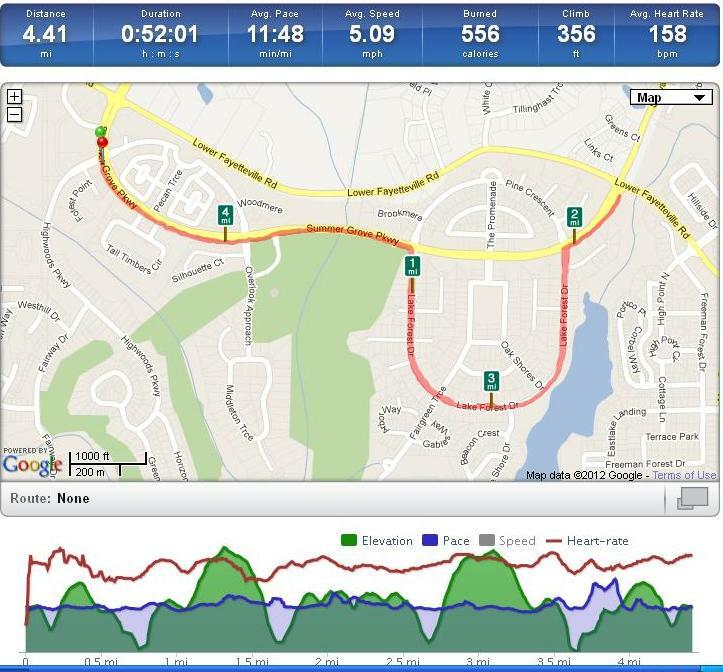 This is my friends garmin data and she was a little faster than me but I kept up pretty good for the entire route. 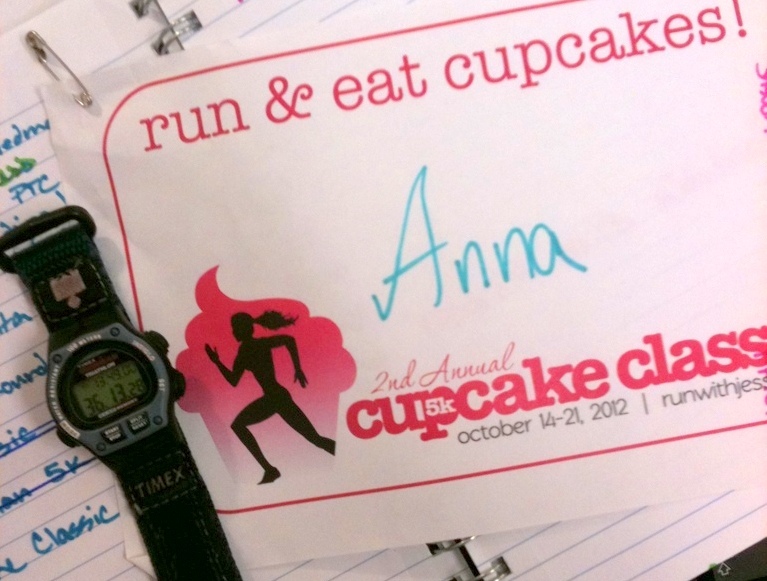 So last week or so I talked about the Cupcake Classic. 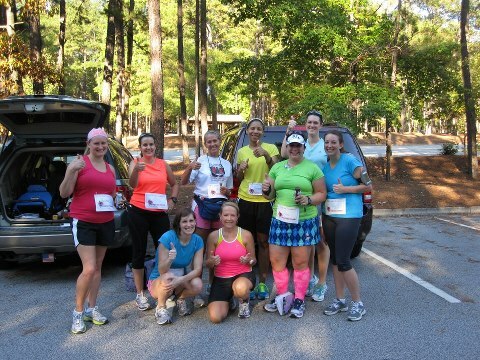 The wonderful MRTT ladies all decided to have a couple days for a bunch of us to get together and run in a group. We picked out two different courses (both actual 5k race courses to make it easier on us). I could make it last night after I got done with my big boy’s field trip. At first it was only going to be two of us and rapidly it turned into a whole group. 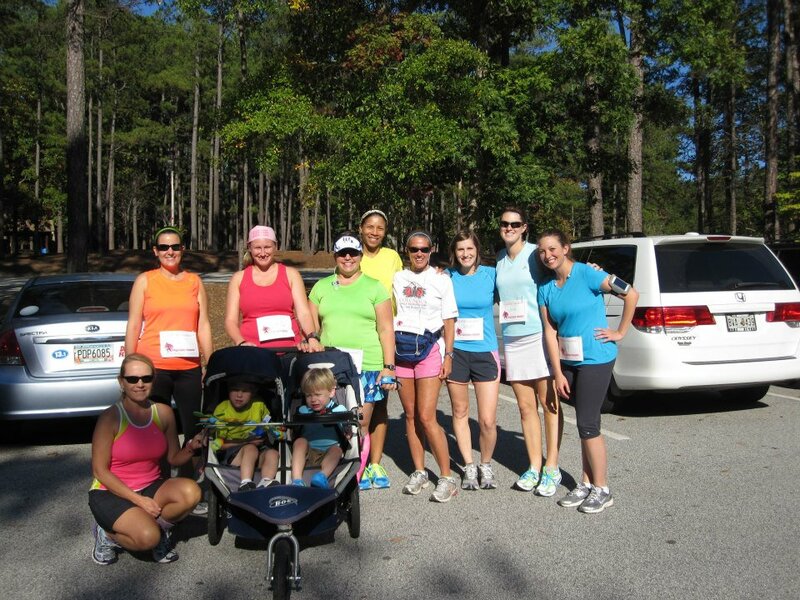 9 ladies (I’m in the neon green) and two kids took off on our adventure. 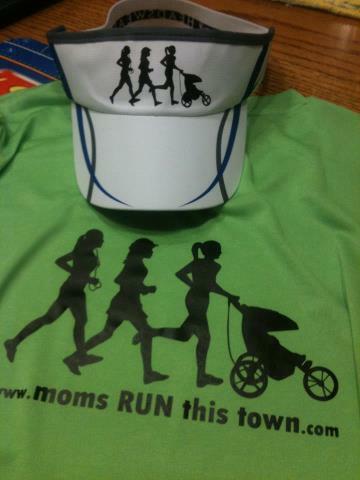 I did get a MRTT logo on the back of my shirt and on my new visor. I was pleased I didn’t mess up my stuff or either logo. you are ironing on plastic so it’s a little scary. I did that late Tuesday night after everyone was in bed. I was too wound up and worried I would forget something for either the field trip or for my race. Even though it wasn’t a full on race, I decided to race against myself. I told one of the ladies that I wanted her to help push me to run a little faster than I have and for longer so I could get a new PR (personal record). My fastest 5k was from a race I did back in February with a time of 39:23. I’ve come close to going a little faster twice but can’t quiet get there. So the route we chose is decently flat and lots of trees (shade) so it would feel great if the humidity would stay down. So we all started out and I felt pretty good. Before I knew it we had hit one mile and my lovely ladies were keeping me updated on my pace and how far we had gone. My first mile was done in 11:16 and I felt good so kept going at that general speed/pace. My second mile was at 11:07 so a little faster. Somewhere about at 2.5 miles I needed a short walk break. What’s funny is that a couple of us noticed that there were jars hanging from fishing line in a few trees and then we saw that there were bottles (maybe beer) that had goldfish in them. Really weird!!! So after a short break I started back. One lady stayed with me for the last 2 miles and we talked about any and everything that came to mind. 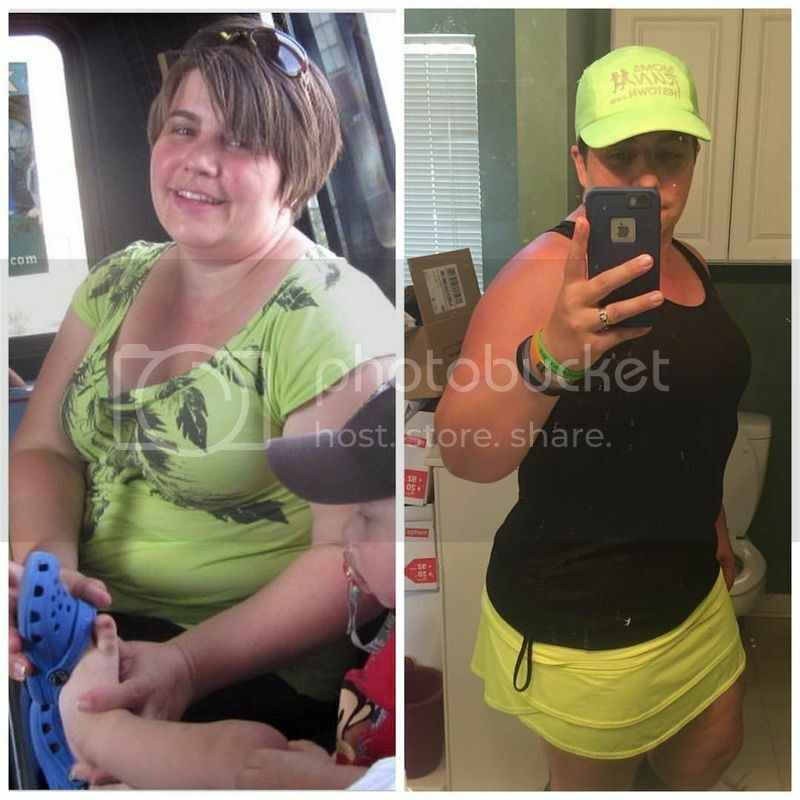 She could have go on at a faster pace but instead stayed with me – means a lot to me and helped me a ton!!!! I told her that once we started again I wouldn’t stop because if I did then I wouldn’t start running again. But we only had a 1/2 mile left if that. So we carried on. I finished the last 1.1 miles in 13:49 which gave me a new PR of 36:13. Over 3 minutes faster than my last PR. I AM SO PROUD OF MYSELF!!!!!! I am now wondering if I could have maintained an 11 min mile for the last mile. Well another friend (that I’ve run with a bunch of times) told me to name the time and place and we would try and do it. I told her absolutely. Probably sometime in November after my next 5k we can try it again on the same course since I liked it so much. Here is all of us after most had enjoyed their cupcakes and were drinking their chocolate milk (an added bonus). We are all still smiling. So what’s next??? 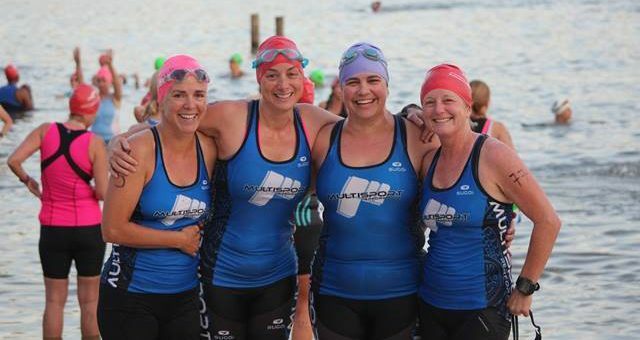 I’ve got a 4ish mile run planned on Sunday around the lake with at least one if not more of my MRTT ladies. I am seriously spoiled now – I don’t want to run by myself anymore!! I am (have not excuse and will make myself do it) swinging my bell tonight. I will then figure out when I’m running next week. My schedule has been a little crazy and changing every other minute so it will be nice to be back to my regularly scheduled program. I miss my zumba class so that will be nice to get back too. I will figure it out. 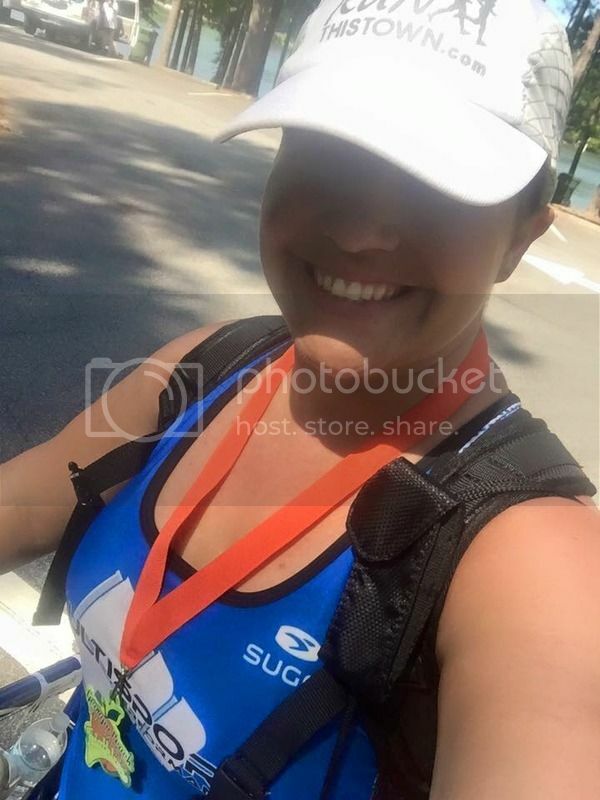 One last thing – so in 17 days I will be running a 5k on the grounds of the Biltmore House in Asheville, NC with my two sister’s, two cousin’s and a friend (hopefully). 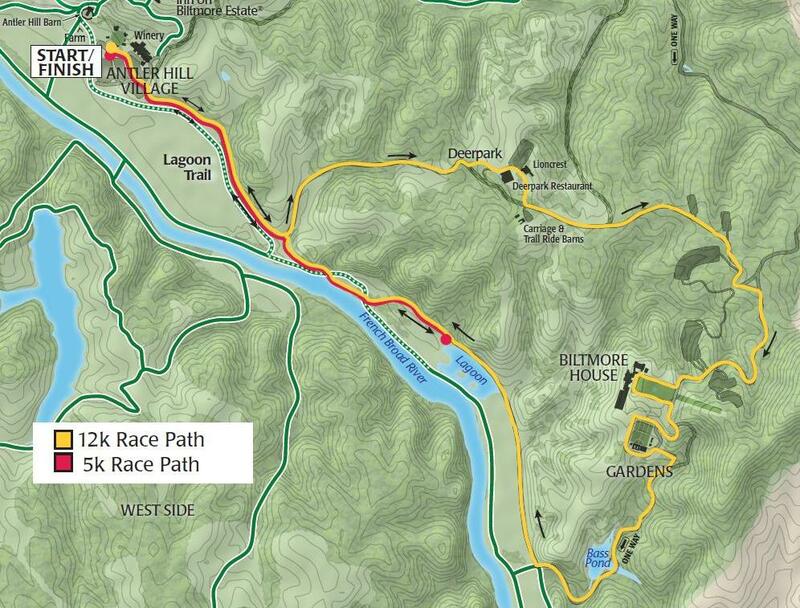 The race organizers posted the course map. I’m always curious where we are going. We will have a wonderful view of the river and the forest, but the part that I love is that the 12k going right past the house and gardens. Now I want to train and run the 12k next year so I can do that. My MRTT friends are rubbing off on me. A 12K is just about 7.5 miles. I have a little ways to go but if I take it slow, I could do it. We will see but I definitely do better with a goal. Ok so I wasn’t done yet LOL – but it’s a good one. Last week I checked my measurements and I’m down another 1/2 inch from each upper knee so my grand total is 25+ inches of me are GONE!!!! I promise to take new pics this weekend when I measure again and maybe even more will be gone. I’m just really proud of my progress, slow at times, but I am still shrinking.